Guatemala is the most populated country in central America, south of Mexico, and to the north of Honduras. 36 years of civil war have taken its toll on the nation, and whilst democracy (and peace) now predominantly prevails, the country still ranks 2nd from bottom on the Latin American human development index. Filled with Volcanoes, and tropical rainforests, Guatemala is a picturesque country. It’s towering Mayan ruins above the tree tops have also been captured on film as the final shot of Star Wars Episode return of the Jedi! The Guatemalan coffee industry is a formidable one. Producing coffees from areas in the volcanic mountain ranges such as Huehuetenango, Coban, Fraijanes and Antigua – Guatemala is as famous for its regional specials as it is for the SHB and HB grades it more commonly exports. 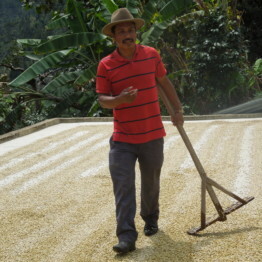 A mixture of small holder farms and larger estates make up the mainly washed production of Guatemala. 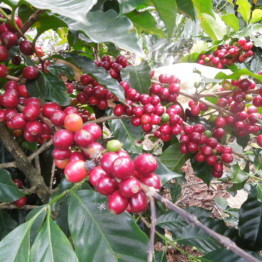 The coffee flavourings offer a wide range from Chocolate and cherries, to citric acidity, sweetness caramel and nuts. Often a favourite on the cupping table of green coffee traders, Guatemalan coffee offers the chance for huge complexity in the cup, and richness, body and mouthfeel, Guatemala really does offer it all. Producers in Guatemala are passionate and careful with their crop, and whilst local infrastructure may not always favour them, this does little to deter the determination for producing ever better cupping coffees year after year.